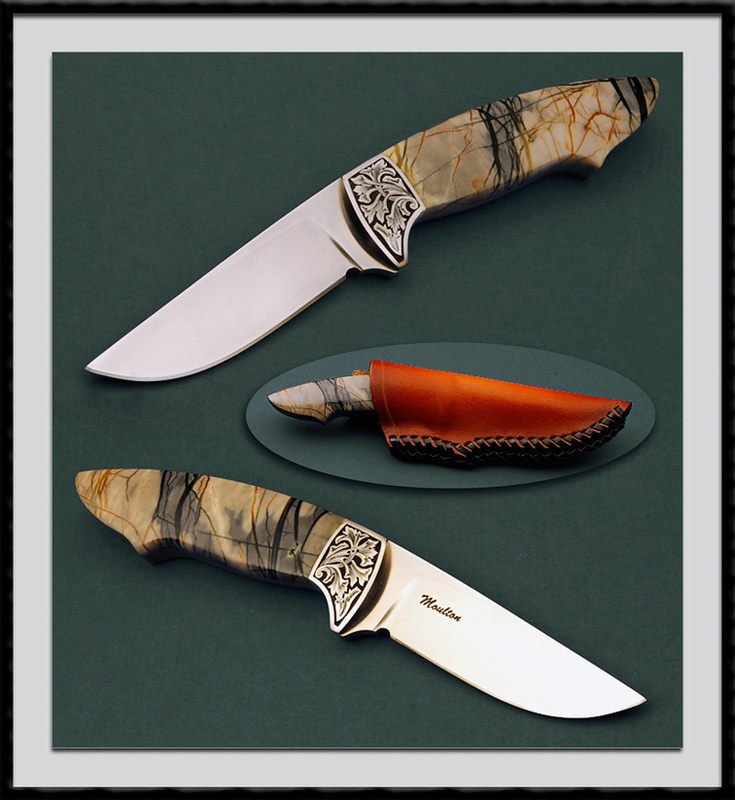 Knife Makers Guild member, Dusty Moulton crafted this Engraved Hunter. Satin finished ATS-34 Blade, BL = 3 1/2", OAL = 8", Full tang, 416 SS Engraved Bolsters, Picasso Stone scales. Fit and Finish are Top Shelf. Comes with the pictured custom leather sheath by maker. Condition is Mint.